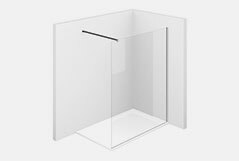 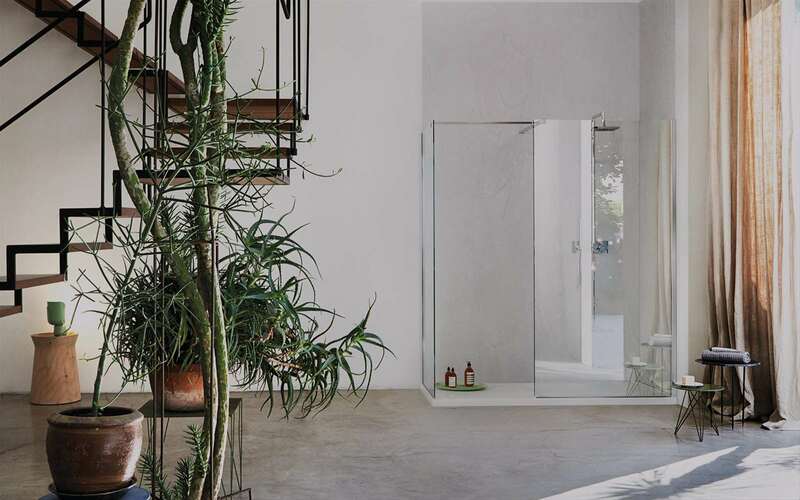 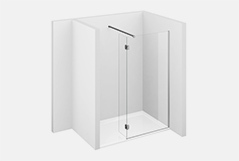 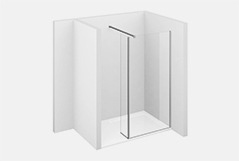 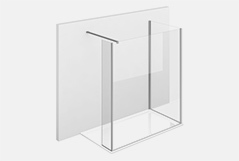 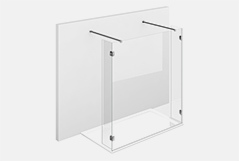 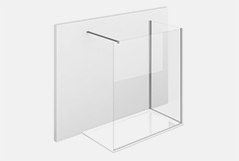 All the shower cabins of the Sk-In series are characterized by the fact that they are shower enclosures without a door. 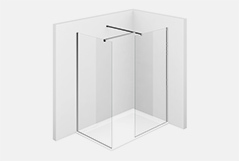 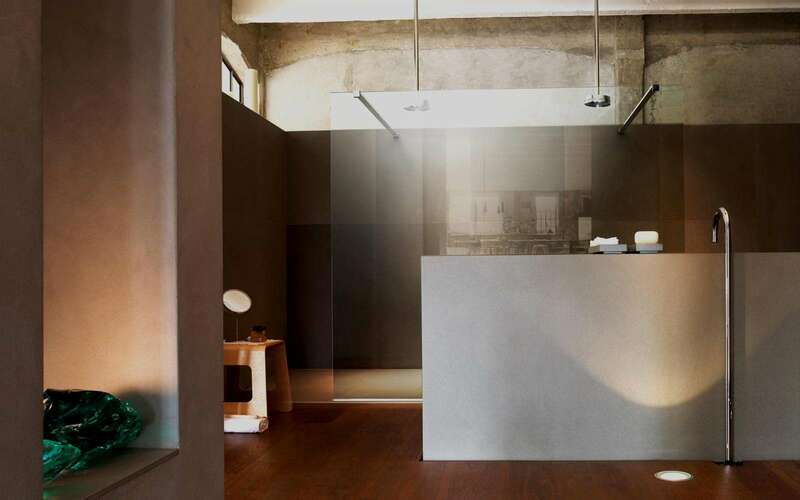 They can be made up of one or more panels of fixed glass. 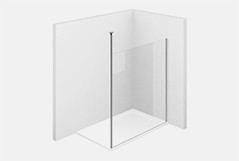 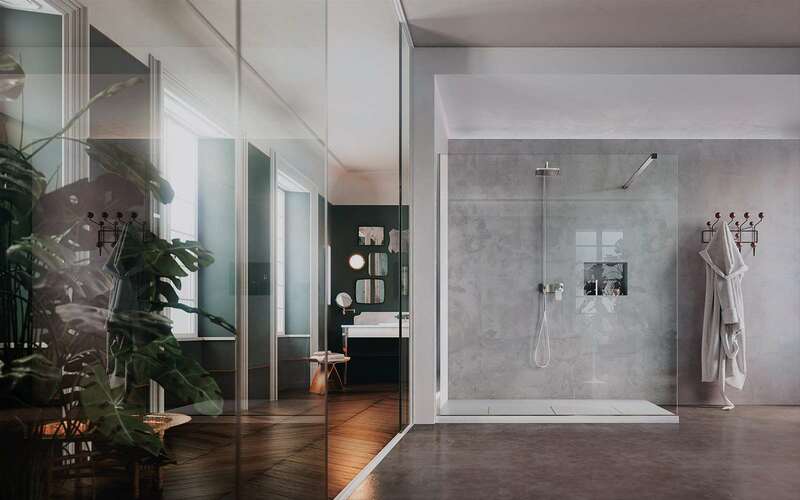 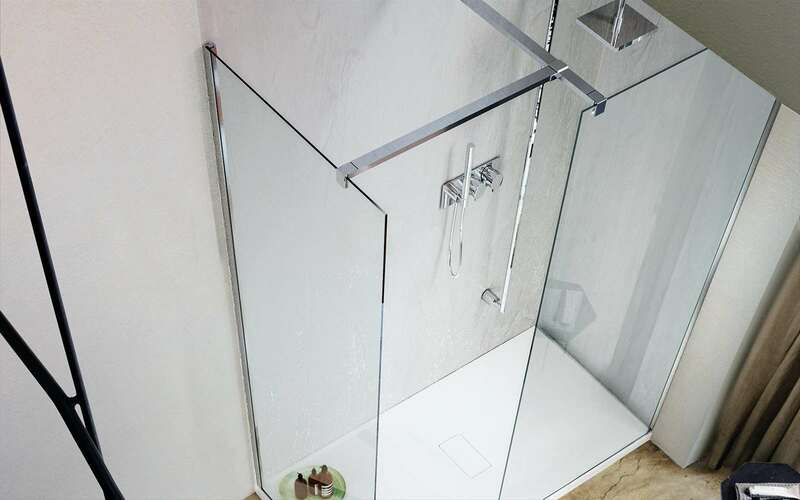 The use of 8 mm thick glass and a stiffening bar guarantee the absolute solidity of the shower enclosure.